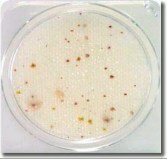 If swabs samples are taken from surfaces which have been disinfected, there may still be traces of biocide which can react with and reduce the count of microorganisms present at the time of sampling. Such microorganisms may have been part of, and protected by a surface biofilm, and the action of swabbing loosens them and exposes them to the biocide. This will result in a false low count, and failure to detect a potential hazard for subsequent food or beverage production. It is essential, therefore, and may be mandatory, that any residual disinfectant on surfaces is neutralised at the time of sampling by first wetting the swab in an appropriate neutralising solution. NRS Medium contains lecithin, polysorbate 80, and sodium thiosulphate, in apeptone phosphate buffer. This formulation is in accordance with ISO 18593:2004, and will neutralise most disinfectants used in the food industry, including those based on chlorine, peroxygen compounds, iodine, quaternary ammonium compounds, amphoterics, biguanides and glutaraldehyde. 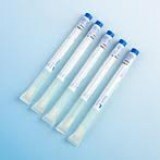 NRS Transwabs are supplied with a transport tube containing precisely 1, 5 or 10mL of NRS medium to allow accurate quantitation assessment of contamination levels. 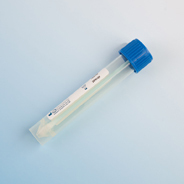 NRS Transwabs can also be used for swabbing in slaughterhouses and meat processing plants in compliance with ISO 17604:2003 and European Commission Regulation (EC) No. 2073/2005 (Non-destructive methods). Also available with the following diluents, Buffered Peptone Water,Butterfield's Buffer, D/E Neutralising Broth, Letheen Broth, Maximum Recovery Diluent. 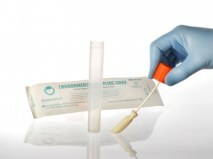 Swabs are moistened in the neutralising buffer before swabbing the specified area, normally 100cm2, of the test surface. The swab is then placed in the Transwab containing either 1, 5 or 10mL of NRS Medium. Complete the tube label and transport to the laboratory. The swab and/or buffer can be plated directly onto suitable growth medium or the NRS buffer can be membrane-filtered to concentrate any microorganisms present.